I hope this will be the closest I ever come to professional thievery. 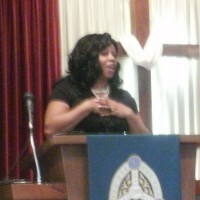 Paula Russell from Aaron McNeil House was discovered victimizing the organization she was hired to lead. In the initial report she was charged with stealing only from AMH. The former executive director of the Aaron McNeil House in Hopkinsville is charged with using funds from the non-profit agency to pay more than $23,000 worth of bills. Then the next day more details were released saying that Paula Russell has done this before. It happened 8-years ago and law enforcement and court officials say she was going by the name Paula Nightingale. Russell, or Nightingale, pled guilty in December 2003 to three counts of false bookkeeping and one count of felony theft after being indicted on more than 47 various charges. She was ordered to pay nearly 84-thousand dollar in restitution directly to Pasminco Incorporated. Christian Heights also had our interactions with Ms. Russell/Nightingale when we collected 1100 units of food for Aaron McNeil’s food pantry. On the day when Ms. Russell visited us to receive the donation. She gave the congregation a backhanded compliment saying that she felt welcomed into the church even though CHUMC is 100% white and she is black. It was rude and unnecessary for her to mention it. Her comments reveal what is first on her mind. Are you black or white? Are you the “oppressed” or the oppressor? Mom’s current computer is at least ten years old. Back in the day it probably ran Windows 98, then I put Linux on it. Now is the time for it to go to the scrap pile and be replaced by Mom’s New old computer. Dad made a comment that when the HP is setup for Mom’s use that it should have an anti-virus installed. So I remembered that Microsoft was now producing it’s own anti-virus free for everyone. It is my opinion that both McAfee and Norton should drop dead anyway. I considered Microsoft Security Essentials to be far better than any of my other options. 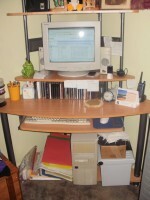 My original plan was to setup the laptop where the CRT monitor is sitting now. Mom would use a regular keyboard and mouse just like she is now. 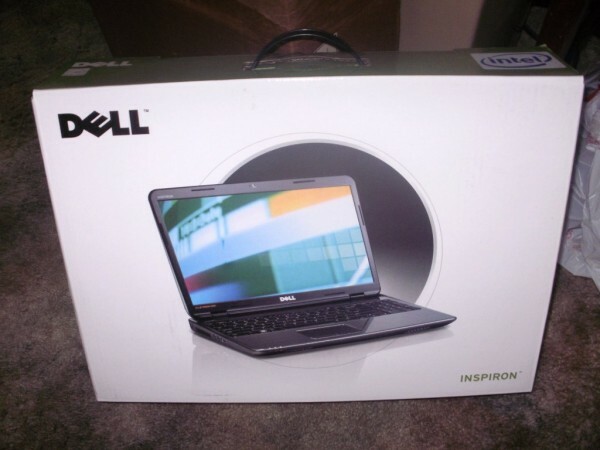 However, my plan changed when Mom said she wanted to use the keyboard and touchpad built in to the laptop. The touchpad is something new that she has never used before. She thinks using the touchpad is more advanced than a plain mouse. I’m not sure that the touchpad is the best thing for her but if she wants to try it, so be it. What this means for the moment is that the laptop can’t sit where I originally planned for it. I was disappointed because I was ready to tear into the old computer and start unhooking it but such was not meant to be. 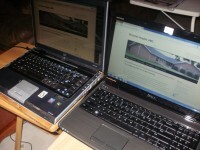 The old laptop on the left is an HP Pavilion dv4000 and the new one on the right is a Dell Inspiron N5010. 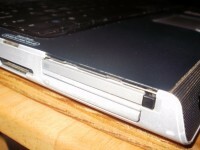 The HP has been through the battle and it came out only slightly dinged. A piece of molding on the left side is broke off and there is a wear mark on the right side of the touch pad where my hand always rested. The Intel graphics are old enough that they are no longer supported by the 2.6.38 Linux kernel. Finally, the main reason why I replaced the HP is that the cd burner started throwing errors when I was burning sermons on disk for church. Those are all of the things wrong with the laptop but that wouldn’t prevent it from being useful in retirement. Once I have the Dell setup and I’m at home using it. I will give the old laptop to my mom for her to use. The HP is still a fast machine good for web surfing and email. Dual core i5 processor, Intel graphics, should be good hardware for Gentoo to run. How many inches of rainfall is required before we can officially call this monsoon weather? I think sixteen inches is enough isn’t? 16 inches is equal to 406 milimeters. More than 300 milimeters per month is very common in India during the wet monsoon season. 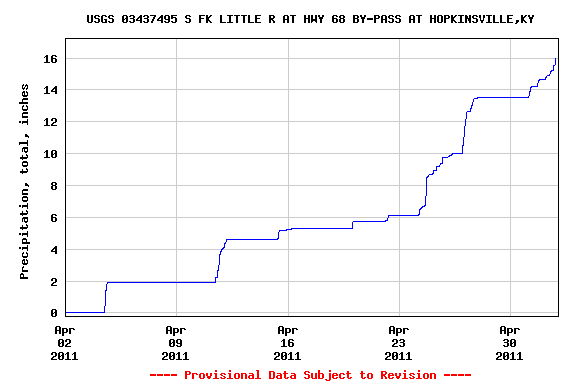 River in Hoptown - Credit to Lou Willis. Close enough to monsoon weather for me! A man in Bowling Green, KY showed again why it is never a good idea to walk into court without a lawyer. Mick Sherrell believes that a city smoking ban is infringing on his rights. Bowling Green attorney Mark Alcott, who represents the city, filed a response Thursday to Sherrell’s complaint, stating that Sherrell had not met procedural requirements set forth in Kentucky civil cases to seek an injunction. Yes! Sherrell was the little guy in the room and he had no idea what he was doing. This is why criminals fire their lawyer and start submitting their arguments written in crayon. The defendant knows his goose cooked; the goal thereafter is to put on a three-ring circus in front of the judge. Sherrell maintained that the ban prevented him from being able to make decisions about his business regarding smoking. “My liberties are being impinged!” is a political argument not a legal one and I’ll prove it later. “I’ve had a thousand people ask me why I haven’t hired an attorney, and it’s pretty obvious I cannot afford an attorney, and I don’t spend money I don’t have,” Sherrell said. I guess it was worth paying the court fees just to say that he did it. David at least had a plan for success when he walked onto the battlefield against Goliath. A better way to stop bad laws is to elect conservative representatives and show up in force when these proposals come up for a vote. Opponents of the ban agued [sic] that government should respect individual liberties and business freedoms. Ban opponents made up a strong majority of the approximately 140 people who sat and stood to participate in the proceedings – plus at least a dozen more who watched on television from the lobby of the county’s Newport administrative building. That is how it’s done successfully. No lawyers required. Put this in the Dog-Bites-Man category of desperate news reporting. 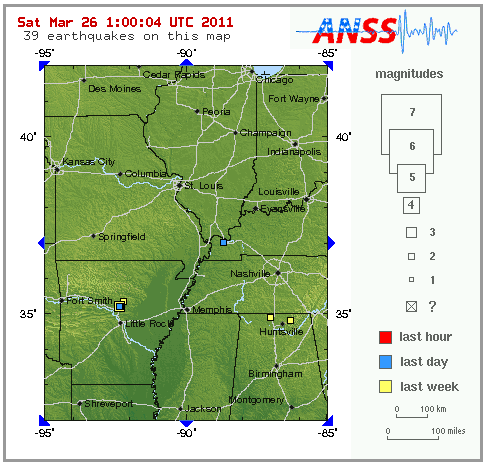 WKDZ is reporting that a 2.4 magnitude earthquake occurred near Paducah on March 24th. The earthquake was felt by no one and no damage was caused by this non-quake earthquake. Somebody tell me where is the story on this? During the last week there were 38 earthquakes in this region surrounding the Madrid fault that no one cared about. Where is the love for them if that one in Paducah was so important? There was a fake controversy some months ago related to the Google Suggest feature. Some people were upset that the suggestions for “Christianity is” were negative while the same for “Islam is” were not. To please everybody involved Google fixed it so that the suggest feature was equally negative for both Christianity and Islam. 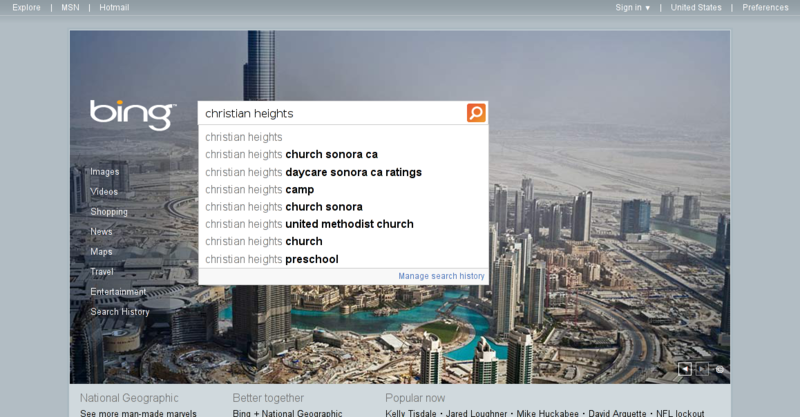 Only mildly related is the fact that Bing search copied the same feature. What pops up in Bing has little to no importance but it is still amusing.